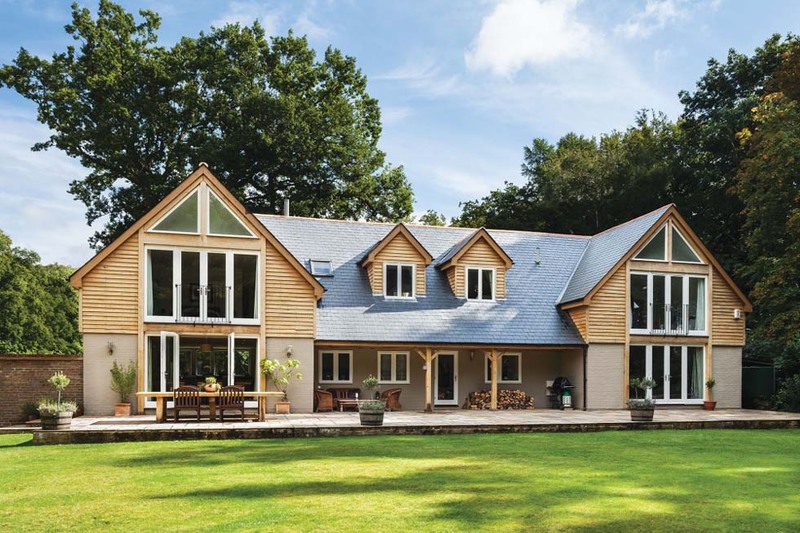 Dan and Liz Burgess knew they had found their perfect plot when they came across a two acre site in the middle of woodland. Unfortunately, the old bungalow that occupied the site was not so perfect, and they had to spend five years living in its damp and dingy rooms while they saved and developed a design. After two years of building work, the finished article is a fine example of the potential to transform something seemingly doomed for demolition. 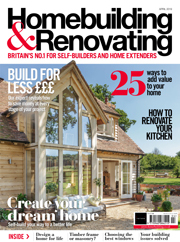 Our judges were so impressed when it was entered into the Daily Telegraph Homebuilding & Renovating Awards 2013, that they named it winner of the best Extension/Remodel category. The home was in the Green Belt, and this may have dissuaded other developers from buying, as they would not be allowed to put more homes on the site. 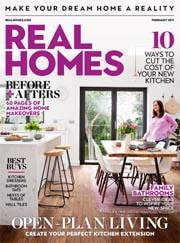 This gave the couple the opportunity to take on a renovation project on a pretty, secluded site. 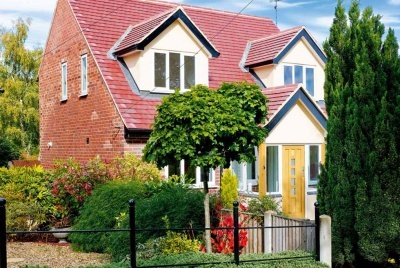 The bungalow already came with planning permission for a conversion into a dormer bungalow. Dan and Liz pushed for an additional 3m on the roof’s ridge height and this would give them room to negotiate with the planning officers. Fortunately, they faced no local opposition as the neighbours were happy to see the ’70s eyesore be transformed into a beautiful family home. They spent the next five years living in the house, saving up for their project and visualising what they wanted to create. Dan spent every weekend clearing and levelling the overgrown plot, and Liz gave birth to their three children in this time. 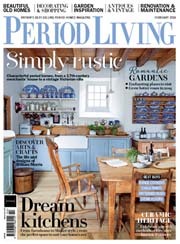 Having three babies in the run-down bungalow pushed them to put their all into designing the perfect family home. 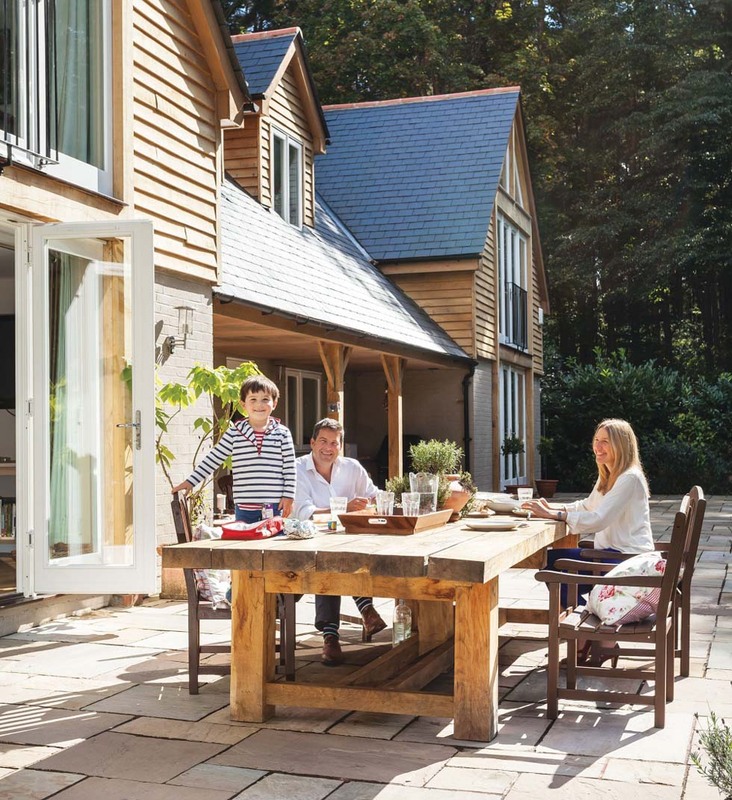 The couple knew they wanted oak to feature in the design — in fact, they found they could use oak from a couple of trees felled on site and these now make up the verandah and porch. The couple also stayed in the Oakwrights show home in Hereford to get a few ideas. After interviewing several local designers, they found Peter Tompkins of Edge Architecture to bring their plans together. Peter’s concept retained the existing bungalow, but with a significant internal remodel and an external makeover to enhance the woodland feel. 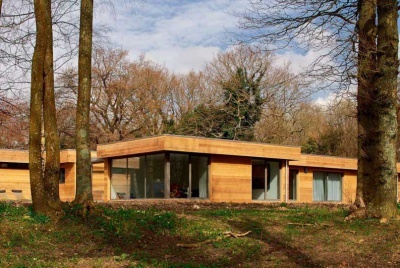 This has been achieved with the warm oak cladding. 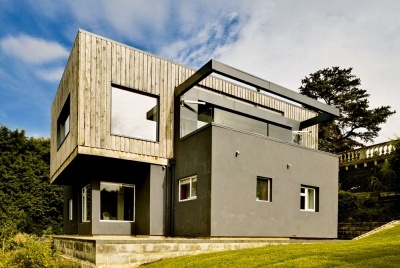 A lightweight timber structure forms the dormer on top where the five bedrooms are. The existing layout of small rooms was opened up to create large flowing family spaces. The living room is at one end, and a light-filled kitchen diner at the other. 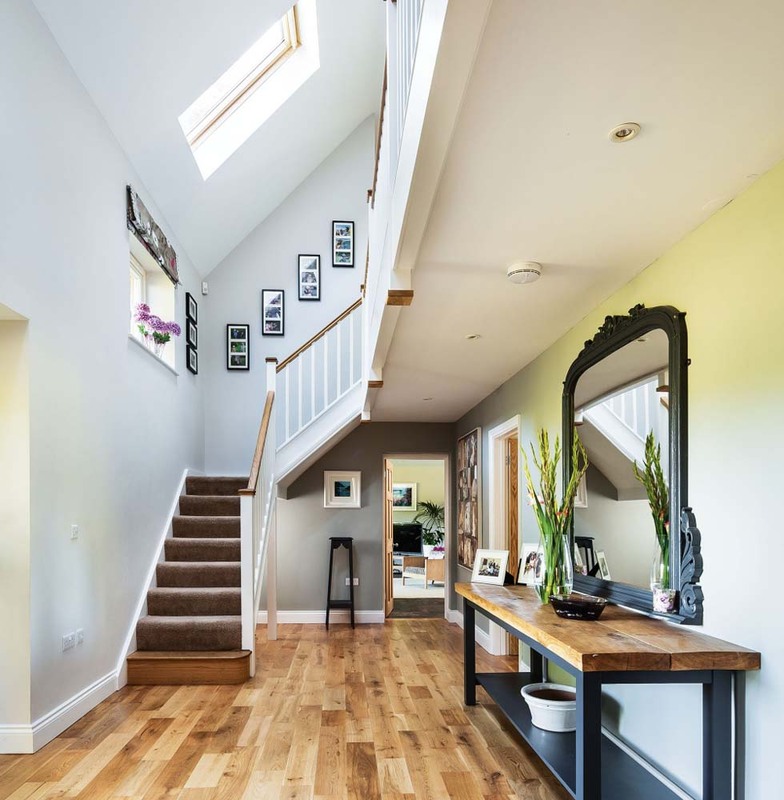 These are connected by a double height hallway with galleried landing. Stylish, but family-friendly fixtures and furnishings have been used, and generous architectural space makes the home feel roomy, but well proportioned. Finally, the garden has been used as an extension to the living space with a patio and verandah area where they can dine al fresco and watch the children enjoy the spacious garden. 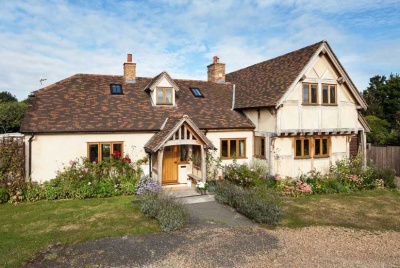 After living in the bungalow for five years, the family of five decamped to Liz’s sisters so that the extension and renovation could commence. Dan had already dug exploratory holes to check the state of the foundations and to ensure the original cottage had been underpinned. 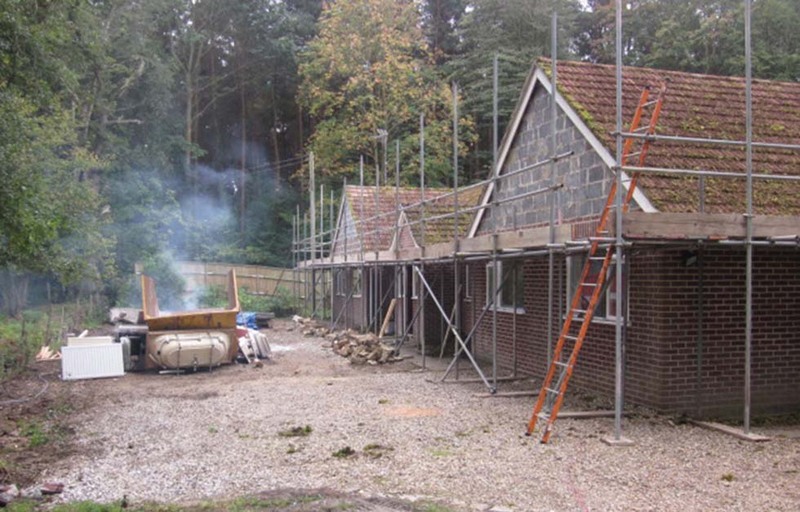 The key structural elements of the build were taken on by main contractor, ART. However, Liz took a sabbatical from work to project manage the build. She and Dan took a hands on approach too, laying flooring and insulation, and getting involved with other fittings. By taking this route, they managed to bring the project in £1,000 under budget. The build took two years on site, with Dan and Liz putting their all into creating a healthy relationship with their builders. Their hard work and research aided the smooth running of the whole process. 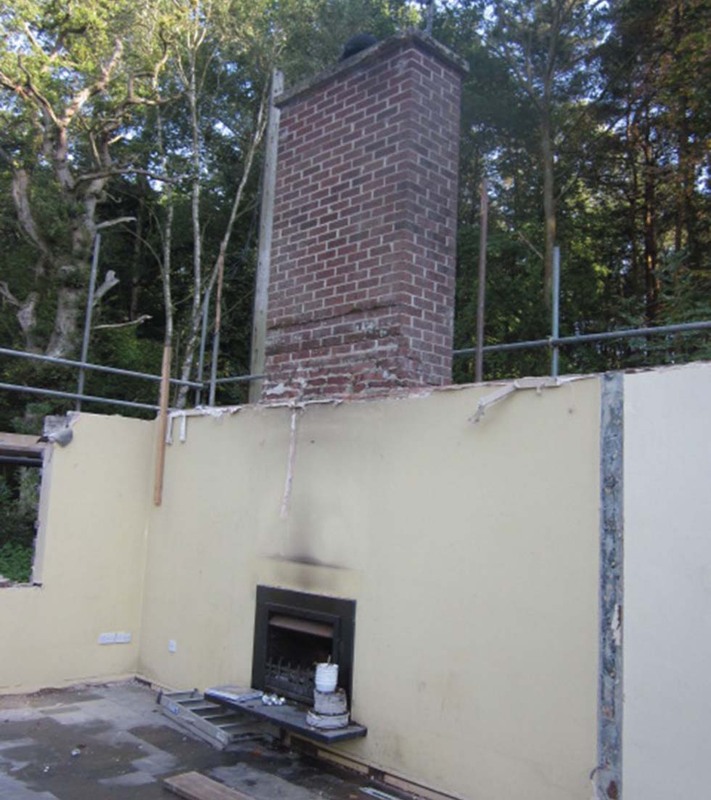 The most difficult part of the build was deciding whether to convert the original house, or demolish it and start again, meaning they could take advantage of the VAT materials and labour of a new build. Although they stripped the house so far back that at one point only two walls and the foundations remained, they realised they would struggle to build a brand new 400m² house of that standard for their £220,000 budget. Slumming it in the dilapidated bungalow for five years was certainly worth it as their new home is valued at £1.25m — not bad for an overall spend of £840,000. The result really is the family home of their dreams and the fact they built it together makes it all the more special. The bungalow was taken down to the bare external walls. can you please advise who the Designers were??? They worked with Peter Tompkins of Edge Architecture. I think they are Berkshire based. This is really nice looking bungalow. Dan and Liz has done fantastic job. 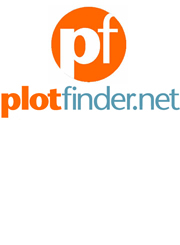 We are also planning to do similar project and any idea, guideline or contact would be much appreciated.